This feminine 0.37 carat I1 heart shape Natural Fancy Deep Brownish Orangy Pink diamond from the prestigious Argyle mine features an arresting blend of color – deep pink with brown and orange overtones – that instantly transports us to the scene of a summer sunset overlooking the beach. This diamond boasts terrific brilliance and beautiful faceting that allows light to pass through freely. 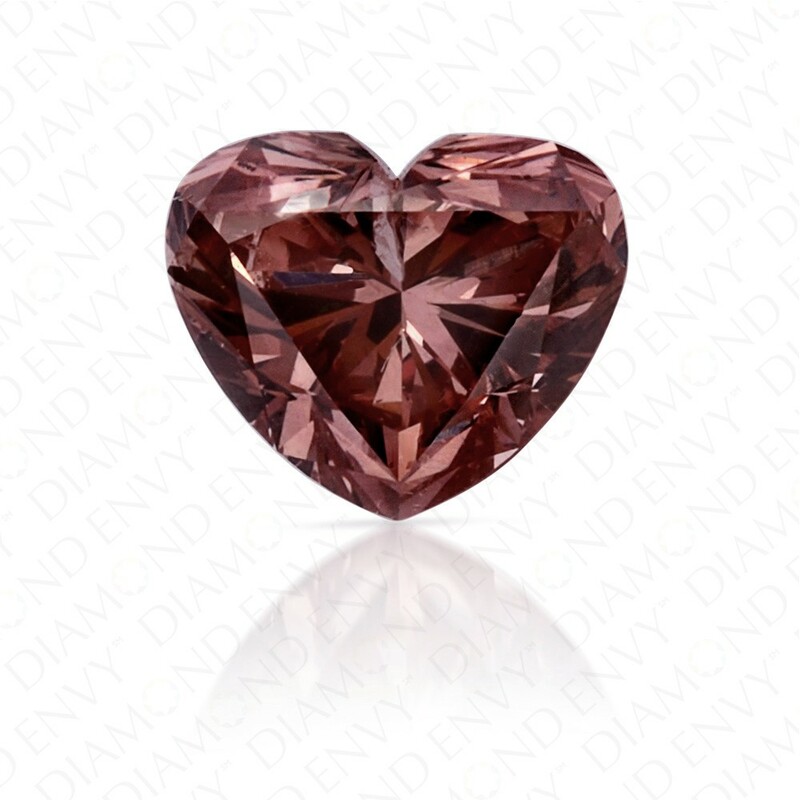 It has a flattering symmetrical heart shape that is especially alluring. 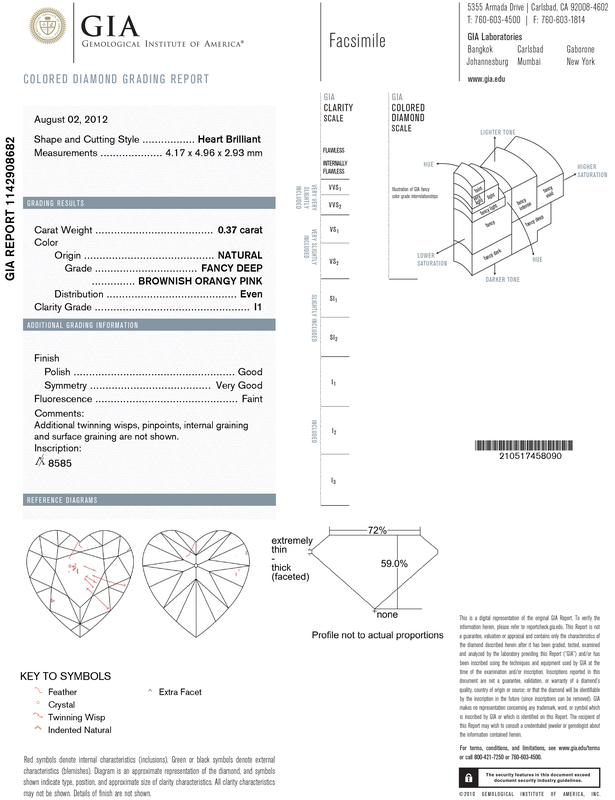 GIA-certified and Argyle certificate.